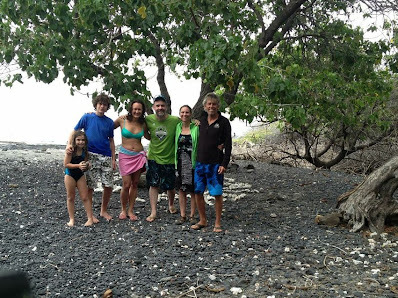 “Last week, my family had the pleasure of swimming with wild dolphins in Hawaii. This is something I’d been dreaming of for 15 years. At 8 and 13 my kids are now good swimmers and comfortable in the water. None of us had done much snorkeling, though. Hiring Joe as a dolphin swimming guide was one of the best decisions we have ever made. Joe helped us realize our dream, and he did it in such a beautiful way, always staying calm and positive. Joe’s vast experience with snorkeling inspired confidence right away. He was patient and very willing to help my children, removing any possible need for me to worry. We had 4 relaxing, peaceful days of snorkeling together, taking long swims out into deep water, listening to whale song, and yes, swimming for an entire morning with a pod of dolphins. Joe helped us understand how to swim with them respectfully, teaching my children (and all of us) deep lessons through practical, daily experiences. In addition, Joe handled all of the logistics of our trip, allowing us to be fully present with each other and in the full beauty of our Hawaiian experiences. He also taught us simple rituals like sharing highlights and appreciations from our days together that worked magic in creating a strong sense of community in our group. Not only was Joe patient and helpful with my children, he was genuinely interested in talking with them and being playful with them.